Inspired by his own experiences with athletic injuries, Dr. Robin Gehrmann is passionate about helping patients through sports medicine and arthroscopic surgery. He is skilled in working with patients of all ages, and is known for his talents in ligament reconstruction, tendon repair and cartilage transplantation of the knee, shoulder, elbow and ankle. 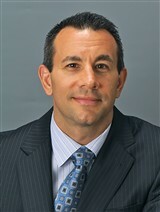 Dr. Gehrmann practices at North Jersey Orthopaedic Group in Summit and Verona, N.J. He enjoys working closely with patients and their families to determine the best possible plan of treatment. The North Jersey Orthopaedic Group prides itself on spending more one-on-one time with their patients in order to really cater to their needs. Although the practice is not in all insurance plans, it works with all insurance companies so that patients can be treated and receive the best of care. Dr. Gehrmann notes that the most rewarding aspect of his career is seeing injured athletes be able to return to the sports that they care about. A number of his past patients have gone on to win national and statewide championships, at amateur and professional levels. In addition to his work with North Jersey Orthopaedic Group, Dr. Gehrmann is an attending physician at Overlook Hospital and UMDNJ’s University Hospital. He is also involved in residents’ education and teaching. He has held a number of academic appointments over the years, most recently as a clinical assistant professor at Rutgers-New Jersey Medical School’s Division of Sports Medicine and Department of Orthopaedics. Furthermore, Dr. Gehrmann has authored numerous publications and conducted many presentations regarding his areas of expertise. He aims to continue publishing at a national level in the coming years.